Fitted with a separate zirconia oxygen sensor connected via a 2m cable (other lengths available), the Rapidox 2100 provides fast and accurate oxygen analysis over the range 1ppm to 100%. 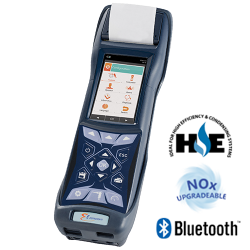 The sensor allows for continuous on-line oxygen gas analysis, with a typical response time of approximately 5 seconds. An optional remote electrochemical oxygen sensor is available for measuring 0 – 100% oxygen. 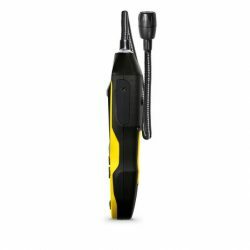 Electrochemical sensors are ideal for applications where VOC’s or flammable gases are present in the gas sample. The electrochemical oxygen sensor is housed within a stainless steel bulkhead, together with an integrated pressure sensor which compensates for small changes in gas pressure to ensure that the readings remain stable. A range of optional pressure, vacuum and dew-point fittings enable the Rapidox to be connected to apparatus in most applications, conveniently and quickly. Readings are displayed and data logged simultaneously with the oxygen measurements. Please contact Cambridge Sensotec for further advice on specific requirements. 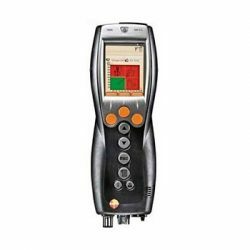 Standard features on all models include two fully programmable alarm circuits (volt free contacts), programmable analogue outputs (0-10V and 4-20mA), easy calibration (user selectable gases), RS232 / RS485 communications and complete data-logging software. 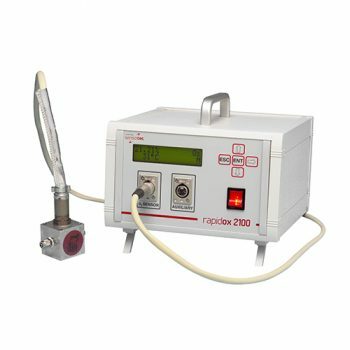 A Type K thermocouple input allows for independent temperature measurements of up to 1250°C. Available in a bench mounted configuration, or with a bezel front panel to incorporate the instrument within a rack. Additionally, the Rapidox 2100 can be supplied within a wall mountable, IP65 weatherproof housing. The zirconia sensor can then be positioned remotely up to 26 metres away either in a separate cabinet or as a standalone sensor. For customers requiring seamless integration into their product or process, the Rapidox can be supplied as an OEM solution.